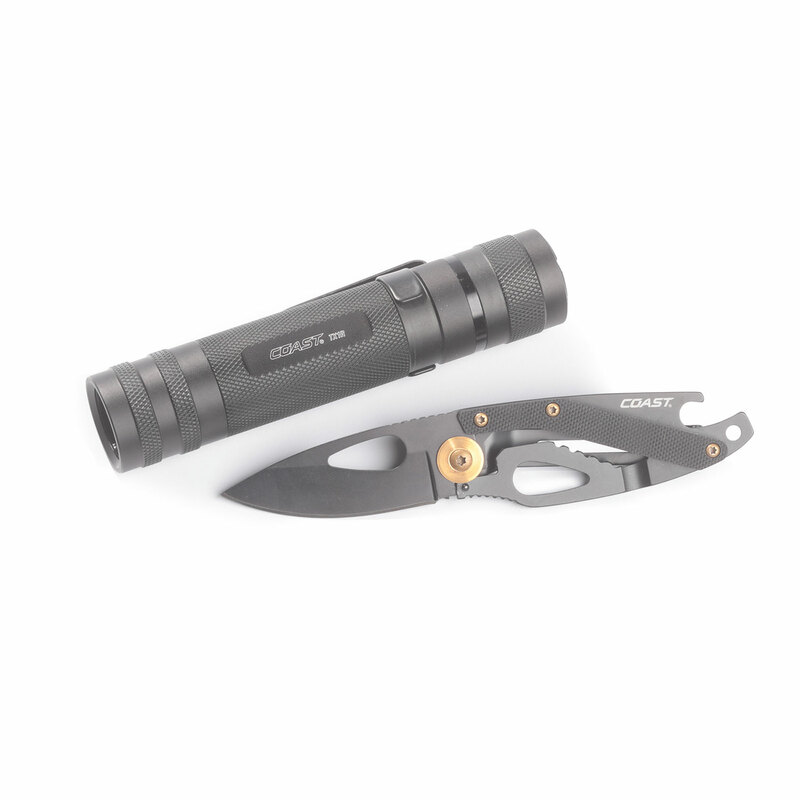 The Coast TX1R Flashlight is the perfect light for any law enforcement official or serious professional by combining Coast's Pure Beam Optic System with Twist Focus and a lightweight aluminum body. A USB insert on the battery and tail cap allows for the recharging of the batteries either in or out of the light. Coast’s Flex Charge Dual Power system also allows this light to accept 3 standard AAA batteries. With high, strobe and low modes and twist focus, this light is immediately adaptable to a variety of situations. The TX1R Flashlight is impact resistant, weather resistant and its LED is virtually unbreakable. The TX1R Flashlight is backed by Coast’s lifetime warranty against defects in materials and workmanship. Coast’s FX200 Knife provides the ultimate versatility for a pocket. It comes equipped with two useful tools – a bottle opener and a money clip. The bottle opener is easy-to-use and can be a valuable tool for work or pleasure. The pocket clip is also specifically designed to act as a money clip if needed. The FX200’s Frame Lock mechanism keeps the knife secure and the user safe. Despite its small stature, the stainless steel blade is extremely effective for cutting materials. Backed by Coast’s lifetime warranty against defects in materials and workmanship.